Hello there! My friend Emily who is the owner of this fine blog, invited me to be a guest with her today. How fun is that! Let me introduce myself, my name is Latisha Yoast. I have many hobbies, but my main squeeze is Paper Crafting. As I was brainstorming what kind of project to share, I was right in the middle of a project where I was making custom gift gards for my children’s teachers. So I thought, “yes!” gift cards, something we all give as gifts. Not to mention making a gift card takes very few materials. 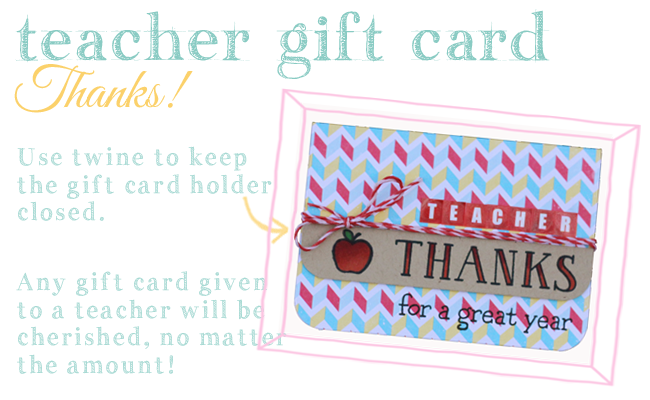 The most important tool you will need to create a gift card, is some kind of scoring tool with a ruler. I used a Scor-buddy, but any kind of scoring tool will work. Miss Martha Stewart makes a fine one as well, if you are new to Paper Crafting, switch the orange blade out of your Fiskars cutting machine, and insert the black one, this is a scoring blade. Or, simply use a ruler and bone folder. The second important thing you will need is a very strong double sided adhesive. I use Scrapbook Adhesives by 3L Crafty Power Tape, when I need something strong and lasting. When I create a gift card, I always start with a base. 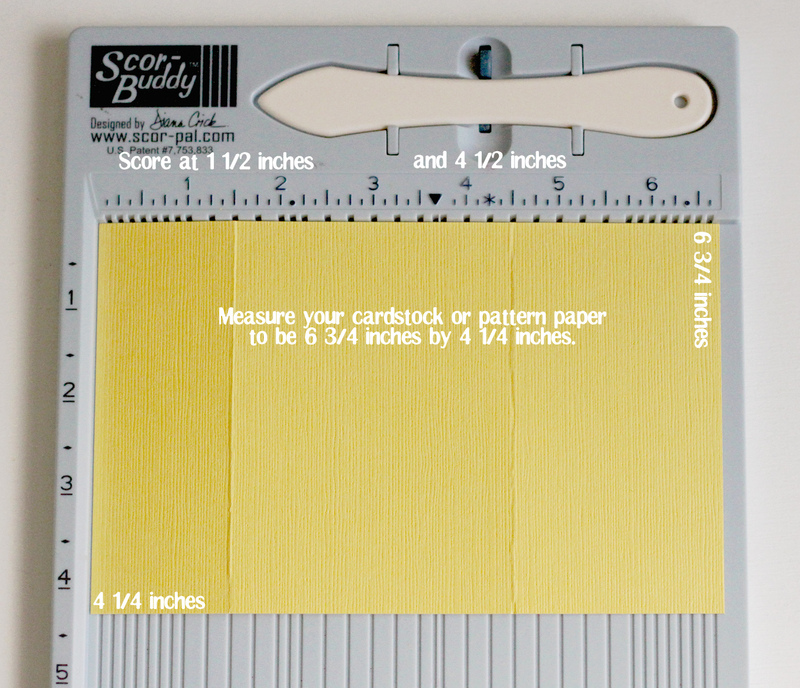 I cut a piece of cardstock or pattern paper to a 4 ¼ by 6 ¾ inches template. I score at 1 ½ inches, and then again at 4 ½ inches. Once you fold the scored flaps in, on the smaller inside flap (where your gift card will be placed) place Scrapbook Adhesives by 3L Crafty Power Tape on the outer edges. I prefer this adhesive because it has a ¼ width, which works perfectly for this kind of project. Below is a template for you to follow, and to have a visual on which way to score. Once the scoring & adhere the smaller flap is adhered down, the fun begins. You get to decorate, stamp & embellish the custom gift card. I have three different examples to show you today. Sweet 16, Wedding and a Teacher Gift Card. I encourage all of you to try to make a gift card for yourself. They are extremely easy to make, and take very few materials to make. Thank You to Emily and all of her readers for having me today!! What a fun project! I've never tried to make a gift card holder. Since I give one every year to my brother at Christmas I'm going to give it a try. 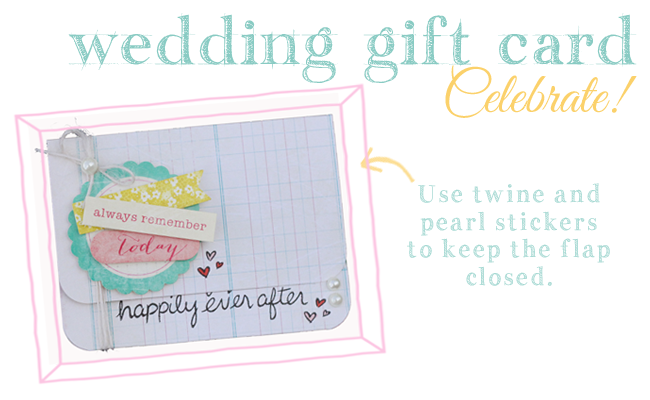 One question: Does the recipient have to untie the twine with the pearl to get to the gift card? Thanks for the inspiration, Latisha!